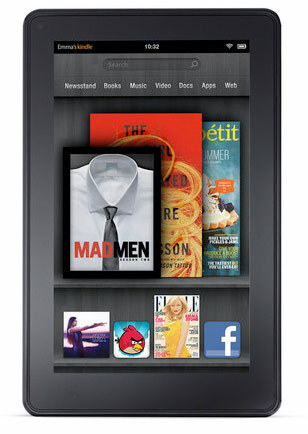 Today, the world’s largest online retailer "Amazon" is unveiling a tablet "Fire". The "Fire" may not have all the same features as an iPad, but will start at a much lower price. It will cost $199, compared to the iPad, which starts at $499. The device will have a 7-inch display , and will run Google’s Android software, but it won’t have an embedded camera or microphone. Additionally, it will come with Wi-Fi, but not 3G. The device will come with a 30-day free trial of Amazon Prime, the company’s $79-a-year membership service that includes streaming video and free two-day shipping. Amazon is unveiling "Fire" as competition for Apple iPad even after two major companies (RIM and HP) already tried and failed to compete with Apple iPad. Do you believe that Amazon can compete with Apple iPad? You can share your thoughts thro' the comments. And, Amazon announced the Amazon Kindle Touch, a device smaller and lighter than previous Kindles, with an infrared touch system. Amazon also announced an even smaller, thinner, lighter and cheaper Amazon Kindle, that will retail in the US for only $79. The cheapest Kindle eReader has no keyboard or touchsreen. Watch below the video of "Fire" Demo. And, you can watch below the video of Amazon Kindle Press Conference held on September 28, 2011 at New York City. Recently Samsung has agreed to pay royalties to Microsoft for using Android on Tablets as well as SmartPhone. So, most probably Microsoft will force Amazon also to pay royalty for using Android. In this case, I am NOT sure whether Amazon will stick with the $199 for long time.